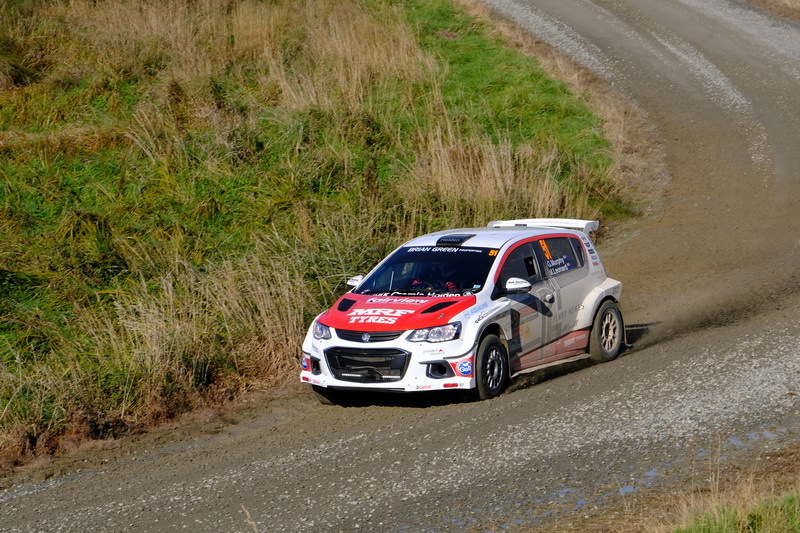 Greg Murphy has confirmed this weekend’s Hyundai New Zealand Raglan Rally of the Coast will be the last in his Holden Barina AP4 car. The four-time Bathurst champion will take an indefinite break from rallying after this weekend as he focuses on his television commitments with Supercars and Sky Sport. While he’s loved his time rallying – it has proven a costly hobby and with time pressure preventing Murphy from committing as much time to rallying as he would like he has made the tough call to step aside. “I have always watched from a distance before and had admiration for the guys and girls, who do a very good job in this sport,” Murphy said. “It is something I have always wanted to do and it was a challenge to see if I could compete at that sort of level. So Murphy will look to sell his Holden Barina after one last skid on the famous roads around Raglan. “The Barina is going to be up for sale because it is a bit ridiculous having a car of that level just sitting around doing nothing and I really would like to see someone else out there using it for what it is supposed to be doing and maybe doing a better job with it to put it where it should be, which is up the front winning stages and winning rallies,” the 46-year-old explained. “It has been an incredible learning experience and an ongoing one. I still don’t feel like I have really managed to get anywhere near maximizing its full potential. It is a great tool. Andrew Hawkeswood has done an amazing job of putting together the basis of all the AP4 cars. Murphy showed some real promise this year, matching it with the best drivers in the country on a regular basis even if the overall results haven’t demonstrated that speed. He is a little disappointed to have to make a tough call but he knows it is the smart thing to do. “I have really enjoyed my time in rallying – there is a great group of people involved and very different to the circuit racing I have done. “The amount of people that put so much effort into the sport – the volunteers and the organisers – just the amount of work they do. I really take my hat off to them because it is just such a huge thinig these days to put a rally together.